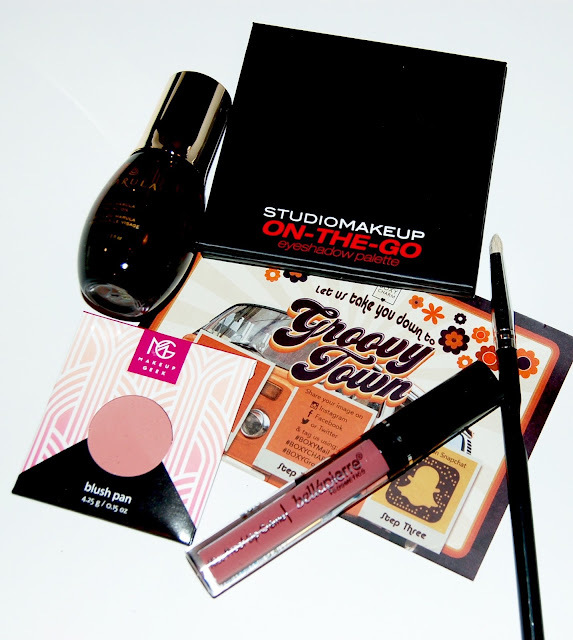 The theme for this month's box is Groovy Town. This facial oil leaves the skin feeling soft and plump with increased firmness for healthy, beautiful, age-defying radiance. To be honest, facial oils don't excite me but I may try this one because to of the amazing claims. I truly don't think you can ever have enough pencil brushes in your collection so I was very excited to rececive this in my box this month! I love when we get Makeup Geek products in our Boxycharm boxes! 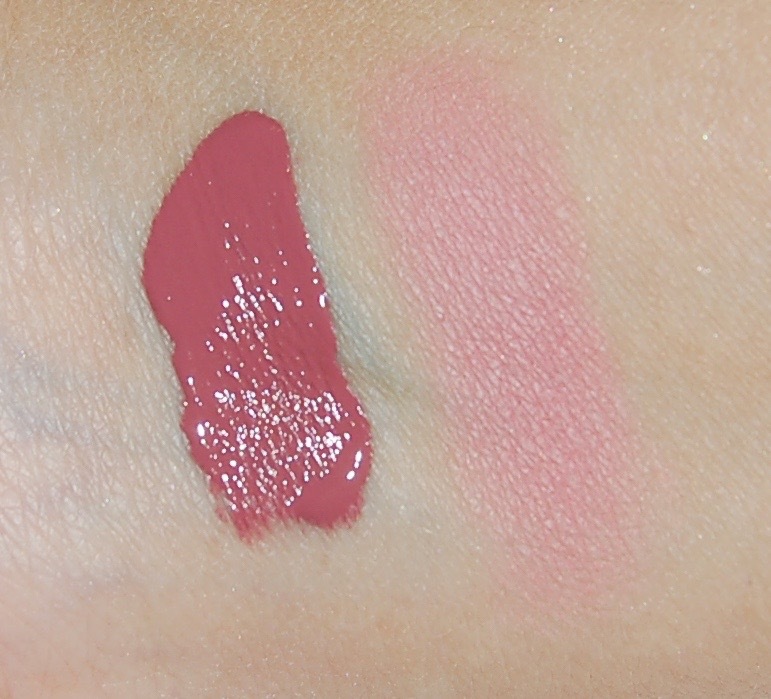 This blush is a pretty matte light pink shade. This is a lip cream that dries matte and lasts a good amount of time on me. I got the shade Antique Pink which is a gorgeous mauve pink. I really like this lip product! In the September Boxycharm Box we reiceved the more warm-neutral version of this palette and I loved it. 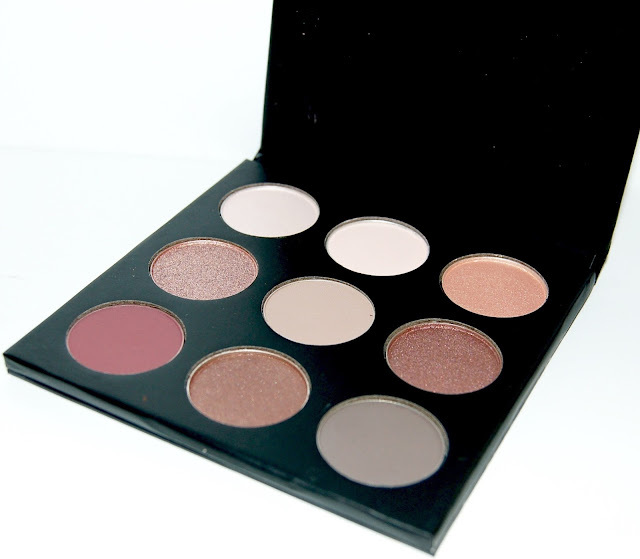 I'm thrilled to have received this palette which is more cool-toned! It truly has everything you need to create a complete eye look including a matte brow bone shade, transition/crease shades and lid shades. Overall I thought this month's Boxycharm box was great! I absolutely love the eyeshadow palette, the blush, the pencil brush, and the lip cream. Each Boxycharm box costs $21, you can cancel at any time and shipping is free. The retail value of the items in this box comes to $151, that's more than 7 times the cost of the box!